A Theocratic Weekly Agenda is the perfect solution for planning and tracking your service report, important dates and pioneer schedule. 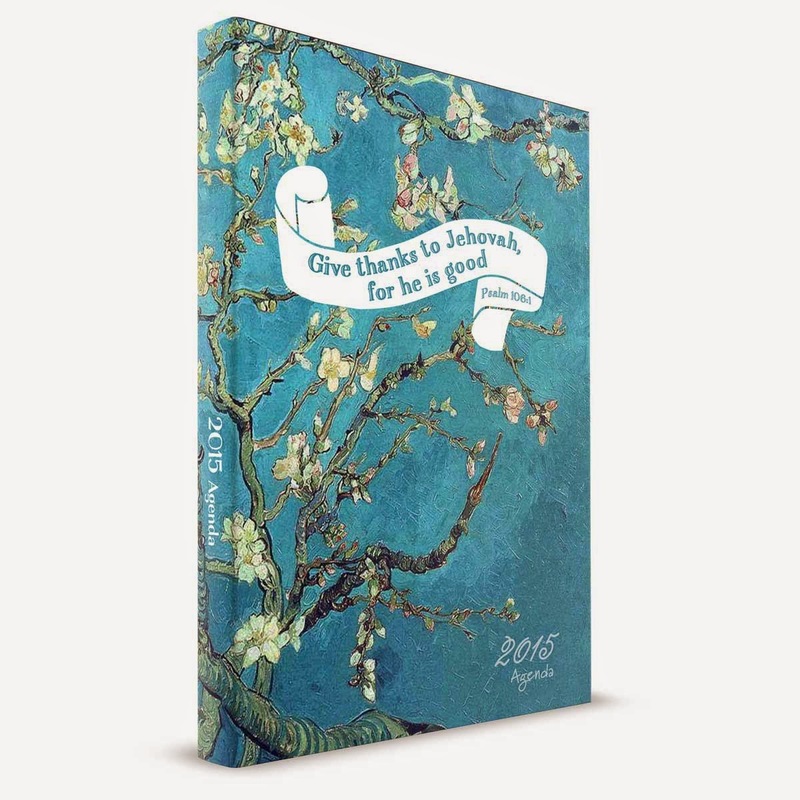 Available to order on Nov. 8th, this page-size book by Ministry Ideaz includes a nicely detailed calendar that offers inspirational quotes along with scriptures from the New World Translation Bible. The front cover is decorated with the beautiful yeartext: "Praise Jah! Give thanks to Jehovah" - Psalm 106:1. Each beautiful book is offered in full color with high-quality paper and a hardback cover with an ultraviolet coating. Each book is designed as a resource for Jehovah’s Witnesses across the globe to be able to keep track of CO visits, conventions, and assemblies as well as special service days during statutory holidays and field service appointments. These durable, well-bound books include 171 pages with space for ministry records, calendar dates, service reports, goals, and more. A January-to-December calendar is provided to coincide with the Theocratic Ministry School schedule and includes statutory holidays for planning special service days on your days off work. The surrounding writing spaces feature special scriptures, amazing quotes, wonderful decorations, and more. Order your Deluxe 2015 Theocratic Weekly Agenda today for the year ahead. 2015 is nearly here, and what better time to plan your service ministry schedule! The price is right for these wonderful books and they make perfect gifts for pioneers, family, friends, and loved ones who are involved in the our ministry as Jehovah’s Witnesses. Pair the book with a scripture based greeting card and a matching weekly Bible reading bookmark for a special gift for any occasion, and order one for yourself as well. Get 2015 off to a good start with the Deluxe 2015 Theocratic Weekly Agenda, and keep your schedule in one elegant, organized location. As excited about the new weekly agenda as we are? Sign up here to receive an email when it's available to order!